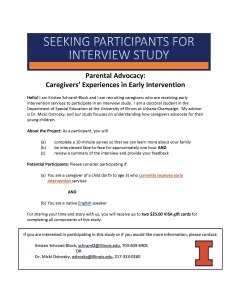 Kristen Schraml-Block, a doctoral student in the Department of Special Education at the University of Illinois at Urbana-Champaign, is recruiting caregivers who are receiving early intervention services to participate in an interview study. 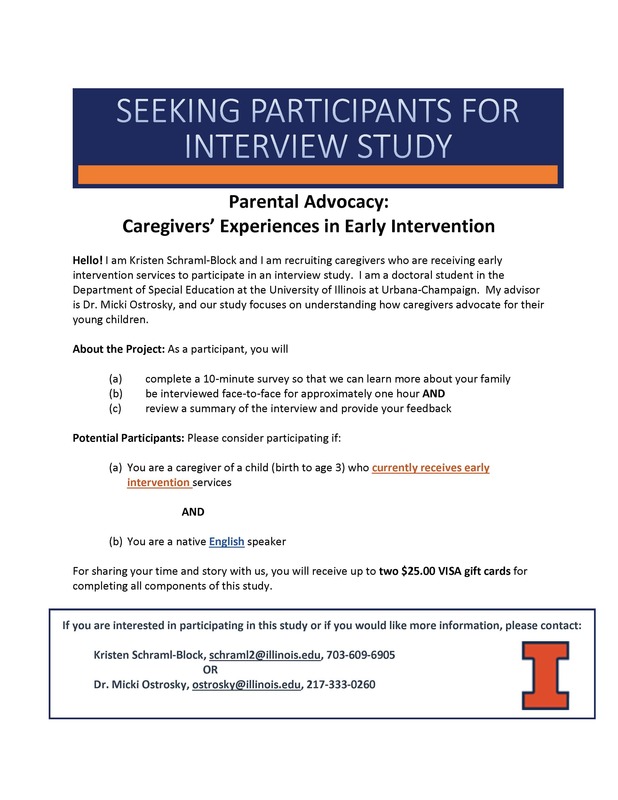 is under the advisement of Dr. Micki Ostrosky, and the study focuses on understanding how caregivers advocate for their young children. 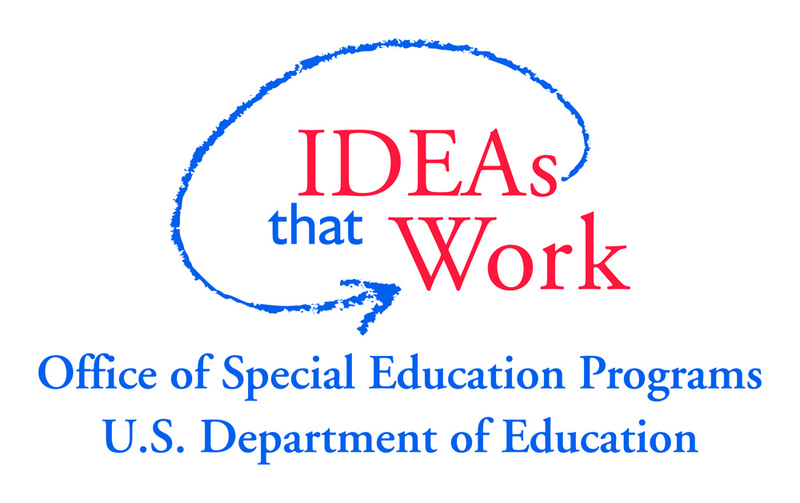 (b) You are a native English speaker For sharing your time and story with us, you will receive up to two $25.00 VISA gift cards for completing all components of this study.